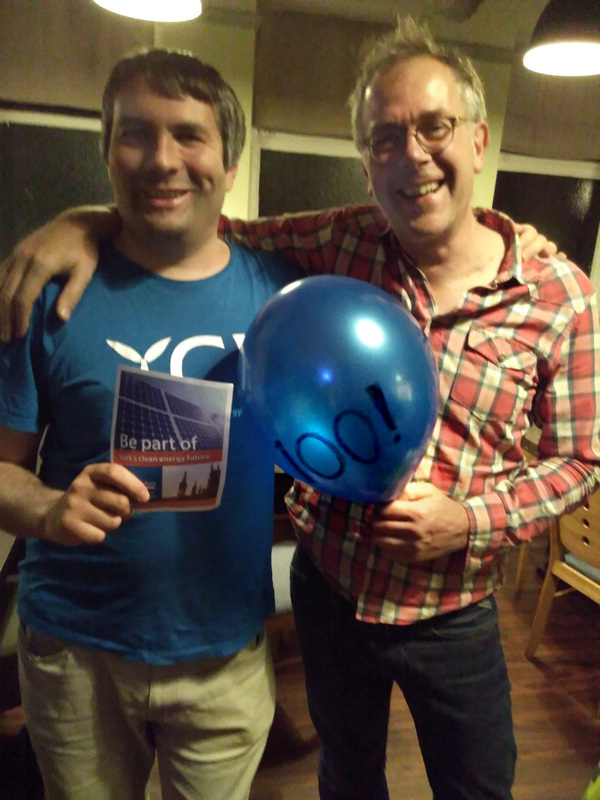 A minor milestone for YCE: last week we were please to welcome our 100th signed up member! Paul McCabe is a local Council employee working in sustainability, and he joined after hearing a presentation given by Kit Bennett at a One Planet York Mingle event. If you know a group that might like to hear us talk about community energy and renewable energy, please get in touch – we love spreading the word! We can also announce an important save the date: our 2017 AGM is taking place from 7pm on Tuesday October 10th at the Friends Meeting House. More information to come very soon!